William (“Bill”) Schroeder, teacher and minister, was born on April 8, 1927, at Pigeon Lake near St. Francois Xavier, Manitoba, to Wilhelm W. Schroeder (31 July 1894--10 March 1975) and Sara Doerksen (6 November 1896--21 February 1973), 1925 immigrants from Ukraine, Russia. William grew up on a farm in Rosengard, near Steinbach, Manitoba, and was baptized upon confession of faith in Jesus in 1944 at age 17, joining the Steinbach Mennonite Brethren Church. He completed his elementary and high school in Rosengard and Steinbach and was awarded the Governor General’s medal at graduation. After high-school, William continued with post-secondary studies and eventually obtained degrees from the University of Manitoba (BEd, MEd), Mennonite Brethren Bible College (BTh) in Winnipeg. William taught school for over 40 years, including assignments at five locations in southern Manitoba, three-and-a-half years as a missionary in Paraguay (1955-1958), and the last eleven (1978-1989) at Winkler Bible Institute (Winkler, Manitoba). William married Hildegard Enns (b. 4 February 1928) on July 8, 1951; they raised five children: David R. (b. 2 May 1953), Ruth H. (b. 13 March 1955), William J. (b. 30 July 1956), Sandra N. (b. 6 April 1960), and Judith L. (b. 26 April 1964). Alongside teaching, William was much involved in church and denominational conference work. He was ordained as a minister of gospel in 1963 and served as pastor at Domain (1963-1967) and Horndean (1983) Mennonite Brethren churches, assistant pastor at Winkler Mennonite Brethren church (1969-1989), and moderator and acting pastor at St. Boniface Mennonite Brethren Church in Winnipeg (1990-1991). He continued to take courses for enrichment during his career (e.g., Regent College in Vancouver, British Columbia, University of North Dakota in Grand Forks, and Luther Rice Seminary in Jacksonville, Florida). William remained active after retirement from teaching. He spent three years as associate editor of Mennonitische Rundschau, a German Mennonite periodical, picking up again a role he had at the beginning of his professional life—assistant literary editor to the student newspaper and yearbook at Teachers College, then known as the Manitoba Normal School (1947-1948). In retirement, he continued preaching and Bible teaching and he was regularly commissioned to translate historical documents from German to English. He taught short courses with several summer ministries in Ecuador, Nigeria, Russia, and Ukraine. His long-time hobby was researching, collecting, translating, and writing Mennonite history, especially family history, which resulted in a substantial family archive, some published articles, and a genealogy book. William (“Bill”) Schroeder died on February 10, 2012, at the age of eighty-four. More details concerning the life and ministry of William Schroeder can be found in the following works that he authored: “In Search of Wilhelm Schroeder I,” Mennonite Historian 19/2 (June 1993): 1, 6-7; “My Inter-Mennonite Christian Heritage,” Mennonite Historian 30/2 (June 2004): 1-2, 7; and A Genealogical History of Wilhelm Schroeder (1761-1827) and Helena Reimer (1788-1829) and their descendants (Winnipeg, 2005). In 2013, William’s wife, Hilda Schroeder, donated to the Centre for Mennonite Brethren Studies, Winnipeg, books and personal papers from the library of William Schroeder. Sandra Schroeder and her husband, Marlowe Rempel, delivered the materials to the Centre on July 30, 2013. 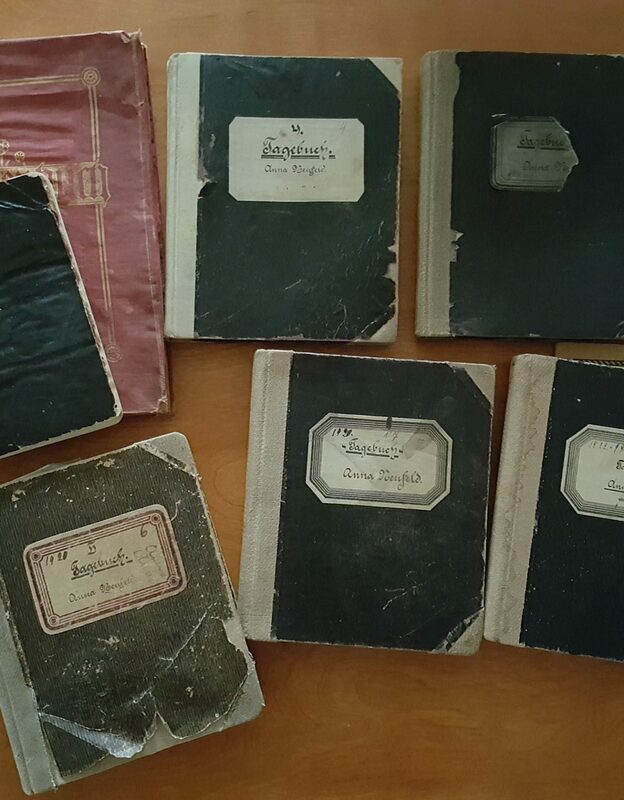 The William Schroeder fonds consists of 14 small binders of sermon manuscripts/notes, course materials (syllabi, exams, and lecture notes) for 15 courses that he taught at the Winkler Bible Institute, and miscellaneous documents related to his professional life as a teacher and minister of the gospel. The fonds documents well the scope of William’s large and lasting contribution within the life of the Mennonite Brethren Church. Description created by Jon Isaak, October 2013. Related materials: Personal Papers of father, William W. Schroeder (Vol. 1049), and Winkler Bible Institute fonds. 1. Obituary from Winnipeg Free Press and Memorial Service. February 14, 2012. -- 2012. 2. BTh (1955) and MEd (1965) diplomas. -- 1955, 1965. 3. Essay on the historical background of the churches in Winkler. -- 1970. 4. Sermon and lesson notes. Gnadenthal and Eigenhof. -- 1949-1953. 5. Argus (Feb and Mar 1948). Student publication. Manitoba Normal School. -- 1948. 6. Normal Lights. 1947-1948 Manitoba Normal School Yearbook. -- 1948. 7a. 1948-2004 The Years Between. 56th Reunion book. Manitoba Normal School. -- 2004. 7b. Gospel Light Hour. Radio broadcast manuscripts. -- 1969, 1978. 8. Winkler Bible Institute Class of 1980 photograph. Teacher of the Year. -- 1980. 9. OT Prophets. WBI course syllabus, lecture notes, and examination. -- 1982. 10. Isaiah. WBI course syllabus, lecture notes, and examination. -- 1982-1989. 11. Minor Prophets. MBBC notes. WBI course syllabus and notes. -- 1955, [198-]. 12. Psalms. MBBC notes. Professor J.H. Quiring. -- 1954. 13. Life of Christ. WBI Examination and interim test. -- 1978, 1982. 14. Gospel of Matthew. WBI Lecture notes. -- [1980?]. 15. Acts of the Apostles. MBBC notes. WBI course syllabus and notes. -- 1954, [198-]. 16. Romans and Galatians. MBBC notes. WBI course syllabus and notes. -- [195-], 1979-1984. 17. I and II Corinthians. WBI course syllabus, lecture notes, and study questions. -- 1986-1987. 18. Prison Epistles. Seminar notes. WBI course syllabus, test, and examination. -- 1958, 1978. 19. I and II Thessalonians. WBI course syllabus, lecture notes, and tests. -- [198-]. 20. General Epistles. WBI course syllabus, lecture notes, and examination. -- 1984-1987. 21. Biblical Prophecy. Eschatology. WBI course syllabus and lecture notes. -- [198-]. 22. Biblical Theology. MBBC notes. WBI course syllabus and lecture notes. -- 1955, 1978-1979. 23. Systematic Theology. WBI course syllabus and lecture notes. -- 1979-1989. 24. Mennonite History and Thought. WBI course syllabus, test, and lecture notes. -- 1988. 25. Home Bible Studies. Outlines and notes. -- 1995-2008. 26. Sermon notes #1. Preaching outlines with dates and locations noted. -- 1957-1960. 27. Sermon notes #2. Preaching outlines with dates and locations noted. -- 1962-1963. 28. Sermon notes #4. Preaching outlines with dates and locations noted. -- 1963-1964. 29. Sermon notes #5. Preaching outlines with dates and locations noted. -- 1964-1965. 30. Sermon notes #7. Preaching outlines with dates and locations noted. -- 1966. 31. Sermon notes #10. Preaching outlines with dates and locations noted. -- 1967-1968. 32. Sermon notes #16. Preaching outlines with dates and locations noted. -- 1977-1979. 33. Sermon notes #17. Preaching outlines with dates and locations noted. -- 1980-1982. 34. Sermon notes #18. Preaching outlines with dates and locations noted. -- 1982-1985. 35. Sermon notes #19. Preaching outlines with dates and locations noted. -- 1985-1986. 36. Sermon notes #20. Preaching outlines with dates and locations noted. -- 1986-1988. 37. Sermon notes #21. Preaching outlines with dates and locations noted. -- 1989-1992. 38. Sermon notes #22. Preaching outlines with dates and locations noted. -- 1993-1996. 39. Sermon notes #23. Preaching outlines with dates and locations noted. -- 1997-2000. Note: Sandra took Sermon notebooks #3, 9, 12, 13; Ruth took #6, 14; Bill #8, 15.